You already know what a fan I am of the Goldwax label. It was home to some of the best Memphis Soul ever recorded. This awesome side we have here today is, in the words of our idol John Ridley, "...the pick of the bunch. Simply one of the best songs ever put out by the company." I hear that. Released in 1966 and 1967 respectively, these singles (as you can hear on today's selection) both feature the unmistakeable sound of our Memphis guitar hero, Reggie Young. I'm guessing it was recorded at American Sound, although it's entirely possible they cut it at Sam Phillips... either way, with Young on the guitar, I'd bet the farm that's the rest of the Memphis Boys on there as well... keep that in mind. 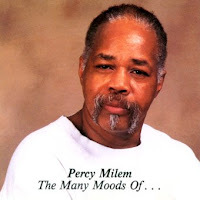 Anyway, Claunch apparently thought enough of Milem to invite him back to record (along with James Carr) when he revitalized Goldwax in the 1980s, resulting in The Many Moods of Percy Milem, which was re-issued on Black Grape by our man Garry Cape not too long ago. 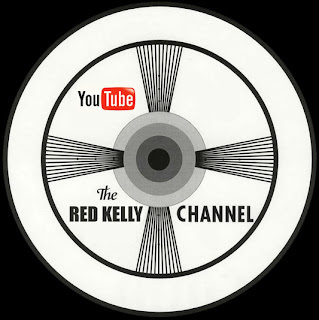 Now... as you may have seen over on the red kelly channel, my man Chase Thompson was in town last week, working on the I'm Not Through trailer. 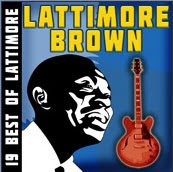 "There's this Lattimore song on iTunes," he told me, "that I've never heard before. I asked him about it while we were down in New Orleans, and he said he didn't remember where he had recorded it, or anything else about it." Hmmm... I thought, this sounds like a job for soul detective! Sure enough, the song in question, The Man Next Door, is not listed in either of the discographies I've seen; the Japanese Vintage Soul page, or the addendum to the In The Basement article (issue #53). 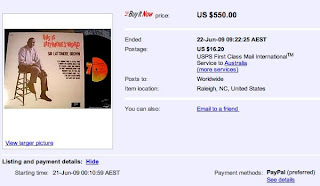 This is the first copy of this 1977 John R compilation of Lattimore's Sound Stage 7 era material that I've seen for sale in the three years I've been looking... and the price is way out of my league! 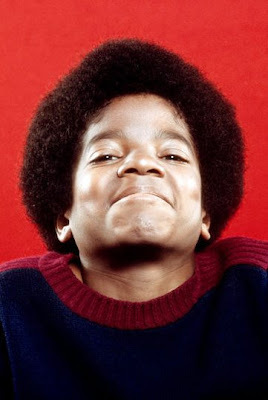 The album included some previously unreleased material (like Boo Ga Lou Sue and It Hurts Me So Bad), but not 'The Man Next Door'. It's not on the current re-mastered Soulscape package, Nobody Has To Tell Me, either. When I listened to it, I thought Nashville right away, as it has this whole Owen Bradley sort of Country feel to it. As a matter of fact, it immediately puts you in mind of the great Harlan Howard song that John R cut on Ella Washington, He Called Me Baby (as we all know, Chuck Chellman would cut Lattimore on another great Harlan tune, I Wish I Felt This Way At Home, at Fame in 1969). So I started looking around. 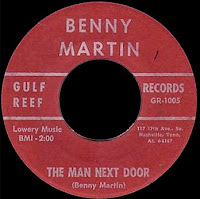 I found a tune with the same name by Country fiddler Benny Martin that was cut on Music Row in 1962. Bingo, I thought, only when I listened to it, it was a different song entirely. I checked the BMI and ASCAP databases and found a few others... one written by our recently deceased Queen of the Blues, Koko Taylor, but that wasn't it either. There were some Reggae versions... no dice. Somehow, though, I knew I had heard this song before... maybe it had the wrong title. So I googled some of the lyrics and found this YouTube page. There it was! 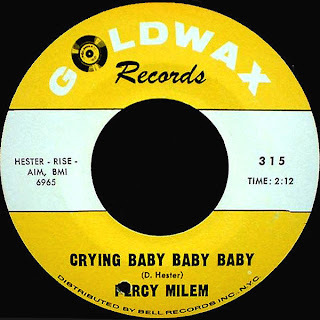 The same song... only there was no label or artist information, only '07 He cried baby baby'. 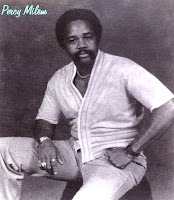 But I knew that guitar, it had to be Memphis... had to be Reggie Young. Then the light went on - Goldwax! After that it was a cinch to track it down, and find out the real title. Although I had it on the supremely excellent The Goldwax Story Volume 2, I prevailed upon our deep-crated benefactor in The Netherlands, Peter H, for the vinyl. It appears on iTunes in two different compilations, the subsonic Please, Please, Please, which was released in April of 2008 by something called 'Jukebox Entertainment' and 19 Best of Lattimore, which was made available on iTunes just this past April by 'Platinum Records'. Who are these people? What's their deal? They somehow license this stuff for less than the 99 cents they get from Apple, and put it up there figuring they don't have a whole lot to lose. I can tell you this, Lattimore gets nothing. Not one cent out of those fine ninety-nine... and it seems fairly obvious, judging from the fact that they can't even bother to get the titles right, that the songwriting and publishing 'mechanicals' are not being paid either... but I digress. So, whaddya think? Nashville or Memphis? Did John R and Allen Orange cut it in Music City, or bring it with them to the Bluff? 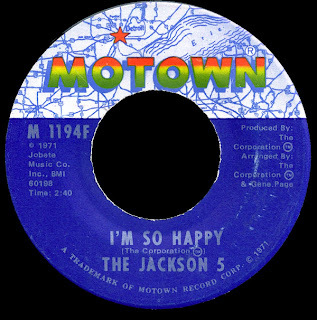 OR (which is my guess) did Chips and the Boys pitch them this song they had already cut on Percy when Sound Stage 7 started recording at American in 1967? 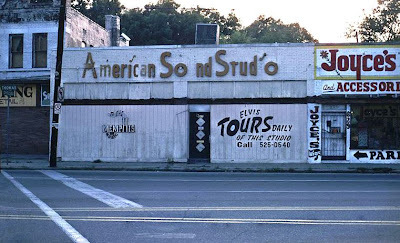 My pal Erick Crews (the son of Don Crews, Chips' partner at American Sound) sent me this 1982 photo of the mythic studio that he found on the web just last week. 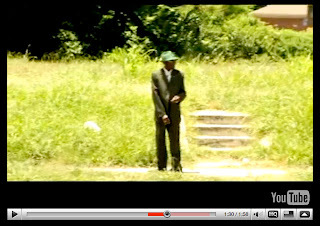 It may be the best picture yet discovered of 827 Thomas Street... you know that part in the trailer where Lattimore is kind of looking both ways in front of this overgrown vacant lot? ...well that's what the corner of Chelsea and Thomas looks like today. What a shame. Let it be known out there (as if you didn't know already) that I am on a mission to get American Sound the hometown recognition that it deserves, before it's too late. Here is the brand new trailer for the upcoming Soul Detective production of the Chase Thompson documentary film I'm Not Through - The Legend of Sir Lattimore Brown. Chase and I worked together this past week in creating this preview so we could present all of you with a first glimpse of the incredible footage we've been getting of Sir Lattimore over the past year. Our man in The Netherlands Paul Pollman came through for us once again, bringing his world class graphic design to the project. Special thanks to all of you who have supported us in our efforts to get Lattimore Brown's story told. Over the course of the last few years here, I've written about a lot of stuff. Most of it anchored by true vinyl goodness, as we've explored the history of this music together. There are now almost 500 45s rattling around out there on my pages that you can hang out with and listen to anytime you want. I'm proud of that, and I'll continue to do what I do with the records, not to worry... but I feel like there's more that needs to be said. One thing I've learned as I've been doing this is it's not just about the records, it's about the people. I've met some very cool people in the course of all of this... warm and genuine people that have become friends. I wanted to find a way for all of us to kind of interconnect and communicate, and not necessarily as part of a post about some 45. Real Life goes on, and I wanted to find a way to share that with all of you. 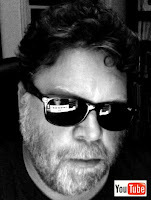 I thought about another, less audio-based blog page, but somehow it just wasn't happening. Then I thought about YouTube. I'd been posting some videos over there as part of the O.V. and Lattimore projects, and when you sign up, they give you a 'channel'. What if I used that channel to put up some kind of a show instead? A show where I could talk to people and take phone calls and stuff, in addition to what we do over here. It just might work... who knows?